The Transcontinental Railroad - a MiWuLa style diorama - Page 5 - Presentation of Layouts - Welcome to "My EEP Forum"
Du wolltest doch mal zeigen, wo denn nun die Hüte verkauft werden für die ganzen Cowboys. Du kannst ruhig alles zeigen. Freigabe erteilt. You wanted to show where the hats are sold for all the cowboys. You can show everything. Release given. And thanks eep_gogo. That city develops SO fast. In particular the harbourfront. when the TCR-construction began. 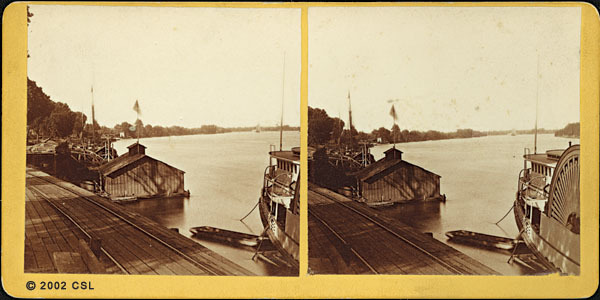 The development from 1865-71, which are the two "overview" photoes I build from, are crazy. You can hardly recognize the harbour from one photo to the other.